Dr. Love has been managing biomarker data collection from local, statewide, and national longitudinal samples for over 15 years. With training in both biology and sociology, she is able to cross disciplinary boundaries in helping to design and implement research that brings an integrative approach to community based studies of health and aging. 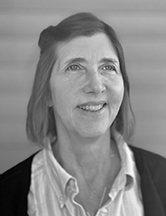 Early in her career Dr. Love was part of a team that piloted procedures for collecting biopsychosocial data, at home and in the clinic, from a sub-sample of men and women (aged 57) from the Wisconsin Longitudinal Study. This basic protocol was expanded for implementation with a subsample of women (aged 60+) as part of the 5th wave of the Wisconsin Study of Community Relocation (a longitudinal study of women aged 55 and older who made a local move from one independent living situation to another). For both studies, the home-based assessments included interviews and questionnaires, as well as studies of immune response to vaccination. For the vaccine study nurses traveled to the participant's home to collect a baseline blood sample, administer the vaccine, and then collected additional blood samples at 2 weeks and 4 weeks post-vaccination. The overnight clinic based assessments included collection of blood and urine samples, bone densitometry scans, and participation in an experimental neuroscience protocol. Dr. Love is now applying her expertise nationally and internationally. At the national level, Dr. Love coordinates implementation of this clinic based approach at the three MIDUS (Midlife in the U.S.) Biomarker data collection sites (UCLA, Georgetown, UW). The protocol continues to evolve and now includes additional biomarker assays and an experimental psychophysiology protocol assessing changes in heart rate variability in response to cognitive and orthostatic challenges. She also managed the MIDUS II data collection at UW which included objective sleep assessments using actigraphy and recruitment of African Americans from Milwaukee. In addition, as part of the MIDUS core staff Dr. Love helped develop and implement procedures for managing cross-project participation (e.g., monthly updates to the MIDUS core and projects, minimizing respondent burden by sequencing assignment of subjects to appropriate projects according to established criteria). Internationally, Dr. Love is part of the research team conducting the MIDJA (Midlife in Japan) study which recently completed a home based survey and clinic based biomarker assessments with a sample of men and women, aged 30-80, living in Tokyo. Friedman, J., Birstler, J., Love, G., & Kiefer, D. (2019). Diagnoses associated with dietary supplement use in a national dataset. Complementary Therapies in Medicine. Advance online publication. Radler, B. T., & Love, G. D. (2018). Behind the scenes in integrative health science: Understanding and negotiating data management challenges. In C. D. Ryff & R. F. Krueger (Eds. ), The Oxford handbook of integrative health science. New York: Oxford University Press. Kiefer, D. S., Chase, J. C., Love, G. D., & Barrett, B. P. (2014). The overlap of dietary supplement and pharmaceutical use in the MIDUS national study. Evidence-Based Complementary and Alternative Medicine, 2014(Article ID 823853), 1-6.